When it comes to being financially secure, having a decent salary is only one part of the puzzle. There’s also your savings accounts, your emergency fund, and — *gulp* — your retirement plan. For most people, retirement comes in the form of a 401(k) and that tax-break money is invested through the employer to grow slowly over time. But how much should you be putting toward your 401(k)? What if you want to get more involved in investing to save for other priorities like college for your kids or additional income? 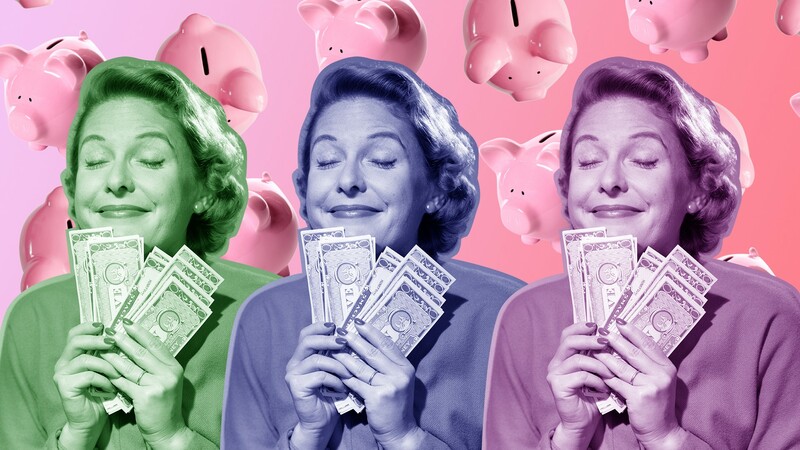 We talked to Jenn Imbeault, VP financial consultant at Fidelity Investments, and Rita Silvan, editor-in-chief at Golden Girl Finance, about their best tips for women looking to invest. Allocate about 50 percent of your income to living expenses, says Imbeault. Fifteen percent of your take-home income — and that can be including employer 401(k) matches — should go toward retirement. Five percent should go toward emergency savings. If you still have enough money to live the lifestyle you enjoy and put money into extra investments, go for it. You have to know what you’re saving for, says Silvan. “You can have multiple goals — short-term, longer-term — but you need to write them down in a contract with yourself,” she says. It will help you understand where to invest and how much and will also help you stick to your plan. Paying down high-interest “bad” debt is going to serve you better in the long run, says Imbeault. Your next big focus should be long-term retirement savings and emergency fund savings. A surprising amount of people do the work of investing in their 401(k) plans, but don’t take the time to roll them over when they join a new company, making it hard to keep track of where large chunks of their money have gone. “Simplify, organize, consolidate,” Imbeault says. “Having everything located in one place provides the opportunity to keep track of your investments to make sure they’re still lining up with your long-term goals.” It also helps should your family ever need to step in to help with your accounts. We hear a lot about diversifying your investments, which typically refers to spreading your money across different industries so that if one struggles, you haven’t put all your eggs in one basket. But that doesn’t mean you have to become an expert in dozens of sectors. “Diversification can still be accomplished across your investments within one investment firm,” Imbeault says. Silvan says that although it can be tempting to trade investments frequently, it actually increases your risk. “You have to be right twice,” she says, “Once when you buy and once when you sell. Plus, there are frictional costs of trading and taxes to consider.